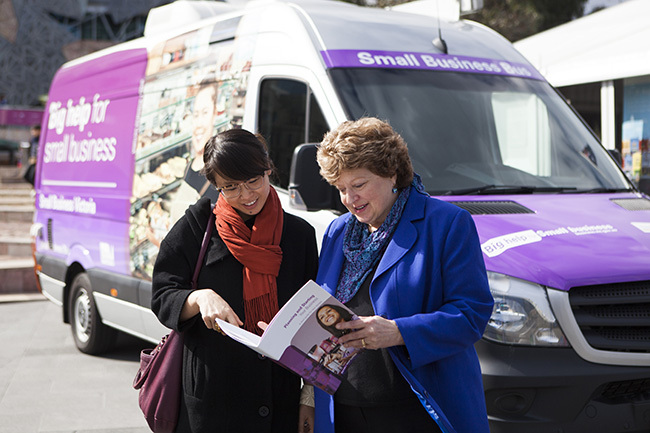 Operated by Small Business Victoria, the Small Business Bus visits Melbourne and regional Victoria as a 'travelling office on wheels'. It offers friendly, professional assistance and expert advice from an experienced business mentor from the Small Business Mentoring Service. Find more details about eligibility criteria and how a mentor can help you on the Small Business Bus program page.